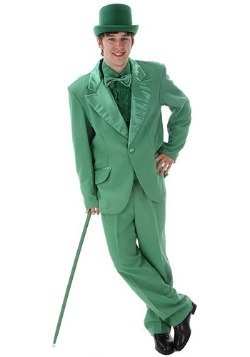 On St. Patrick's day, everyone can at least pretend to be a little bit Irish. And that's a good thing, because St. Patrick himself wasn't actually Irish! He spent most of his life there from the age of 16 onward, but he was born in a British outpost of the Roman Empire. If St. Patrick wasn't Irish, what else do we think we know about him that isn't really true? Well, there's that legend about him banishing snakes from Ireland. It's true that there are no snake species native to Ireland. But, according to most naturalists, there never were any to begin with. Here's another St.-Patrick's-Day-related misconception--this one's about shamrocks and four-leaf clovers. Many people think they're the same thing, but they're not. Shamrocks are a type of clover, but they always and only have three leaves that are heart-shaped. According to legend St. Patrick used the three-leaved shamrock to illustrate the Christian concept of the Holy Trinity. Four-leaf clovers are a mutation that occurs about once in every 10,000 white or red clover plants. They are a symbol of good luck that dates to well before Patrick brought the message of Christianity to Ireland. 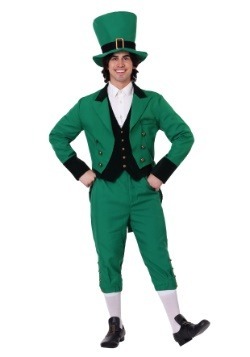 So, even if you don't have a drop of Irish blood, feel free to celebrate St. Patrick's Day. 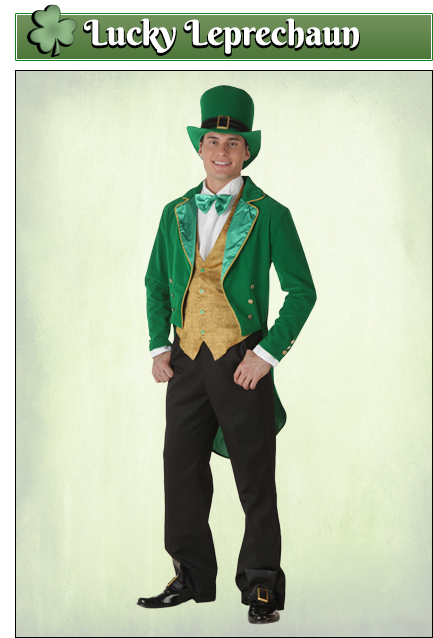 You can choose to dress up in one of our green St. Patrick's Day outfits, wear one of our St. Patrick's Day shirts, or you could go all out and throw on a leprechaun costume. 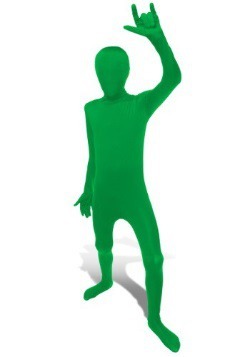 We promise you'll have fun dressing up in a St. Patrick's day costume. 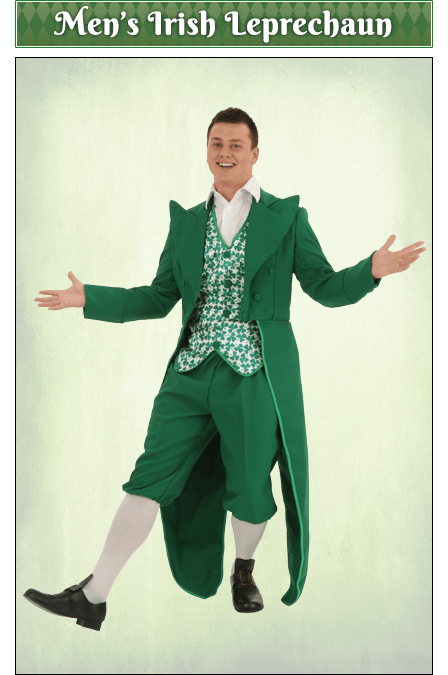 Looking for a festive way to involve the whole family in a fun St. Patrick's Day celebration? 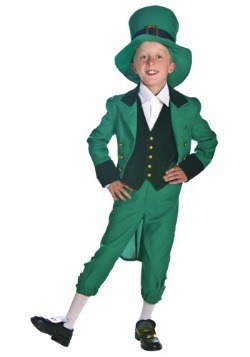 Why not dress everyone up as leprechauns and attend a parade or dance together? 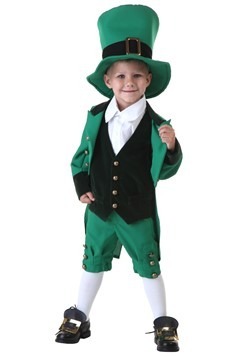 We have leprechaun costumes for adults and kids, even for infants and toddlers too! 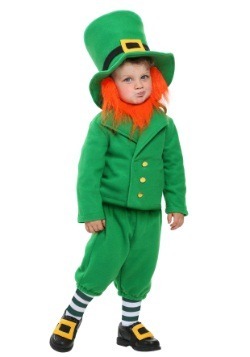 You'll all be voted best dressed when your family arrives dressed as leprechauns! 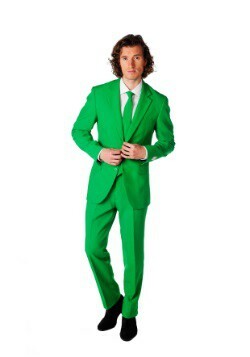 Enjoy your St. Patty's Day gathering in high style with this Irish Leprechaun suit for men. 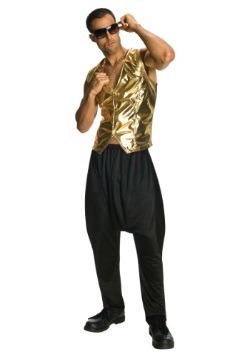 It includes a vest with a clever four-leaf clover pattern and a jacket with dramatic long tails. 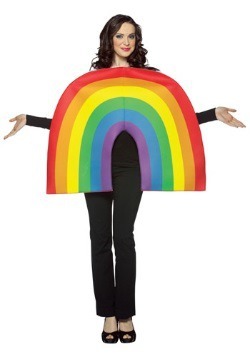 You'll look so convincing you might have people hounding you to reveal the location of your pot o' gold! 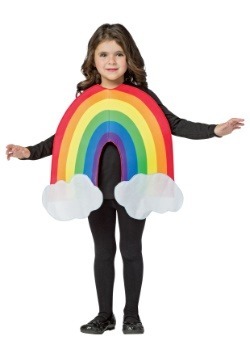 Just direct them to the end of their nearest rainbow. 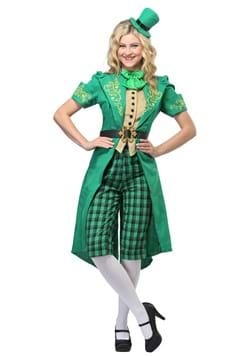 The adorable green pleated skirt and cropped jacket with this exclusive Lucky Leprechaun costume for women are perfect for a family-friendly party as well as some of the adults only parties you'll attend later in the evening! The cure polka dot top has adjustable straps for a secure fit and the top hat pins to your hair. If anyone is asking where you keep your treasure, just reply that YOU are the treasure. Obviously. 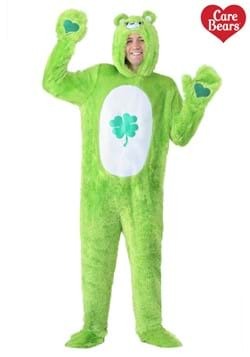 Will the people around you even be able to watch the parade with this handsome Leprechaun boy charming them in his cute green suit? Hard to say, be prepared to have this little man recruited to wave from a float! 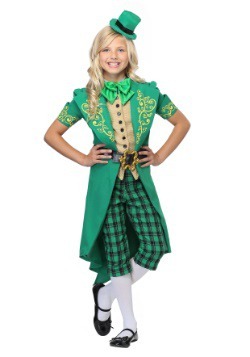 Even if she doesn't have the tiniest bit of Irish heritage in her, this Lucky Leprechaun costume for girls will help her look Irish at least for a day! 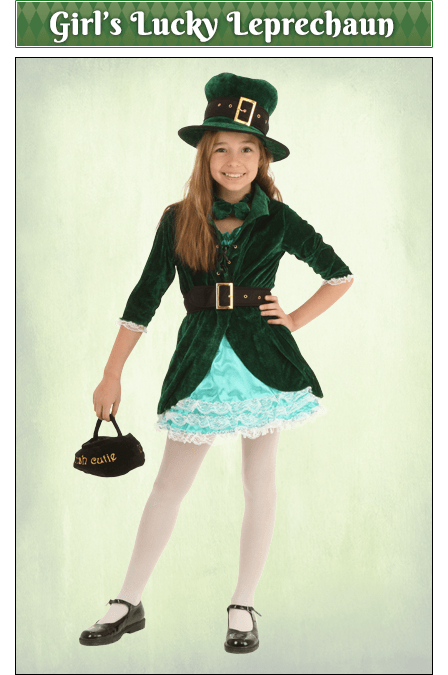 This costume includes a little hand bag for her to keep her goodies in that says "Irish cutie" in gold stitching on the side. You won't find anyone who will dispute that label! Some of us have a few spare gold pieces to spend on a costume, and some of us do not, but that doesn't mean we shouldn't have a rainbow of St. Patrick's Day fun! 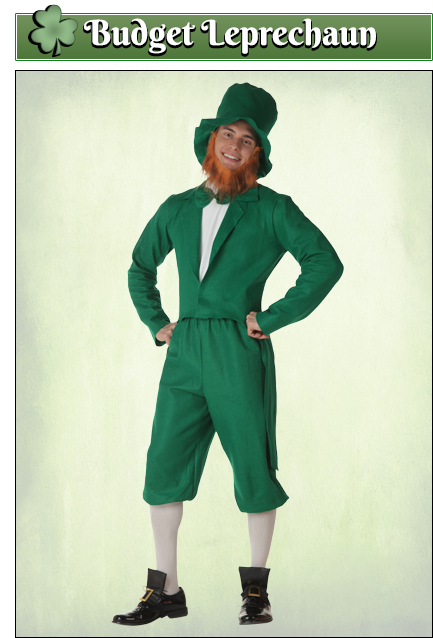 We carry a bunch of different kinds of festive costumes, so we made a handy guide for all you lads looking to transform yourselves into a rollicking, limericking, Leprechaun. 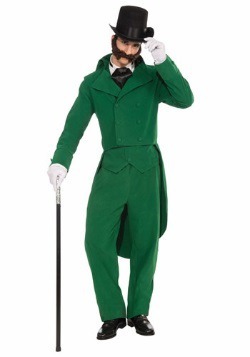 Our favorite Leprechaun costume is a combination of our green tuxedo, with an added hat, green tux shoes, and red beard. 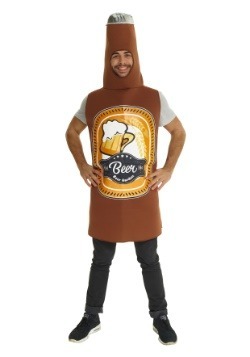 We can almost guarantee that you'll be the best looking lad in the pub while you're wearing this. Dance a fancy jig? Forget about it! You'll be a St Paddy's Day legend forever. Our second favorite look comes complete; all you need to add is a nice pair of pants and our pilgrim buckles to go over your own shoes. 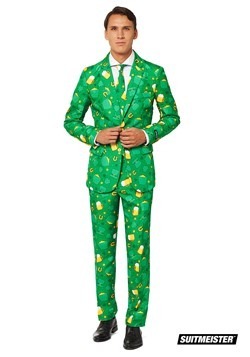 This one is perfect for the smooth talking Leprechaun, the guy who wants to hang back and play it cool at the bar until the wee hours of the night, celebrating the life of that dear old Saint Pat. 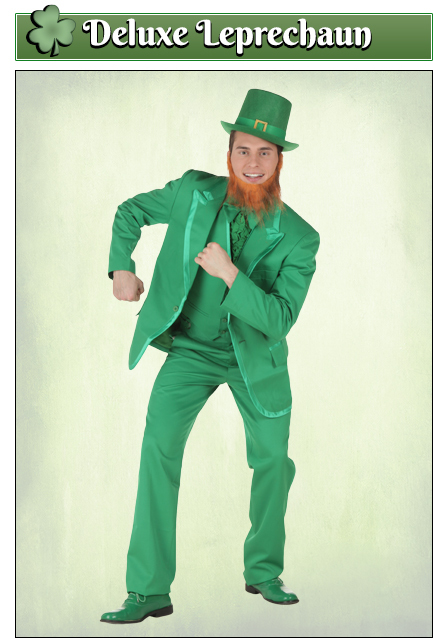 We love this Leprechaun! 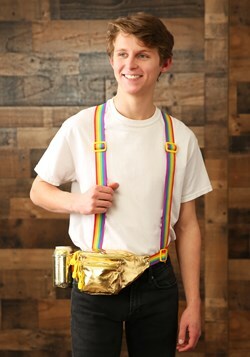 Not only is it at a good price that doesn't require forking over a whole pot of gold, but it's also a high quality, has the perfect hue of grassy green, and isn't so expensive you'd be frantic if you spilled some green beer all over it. 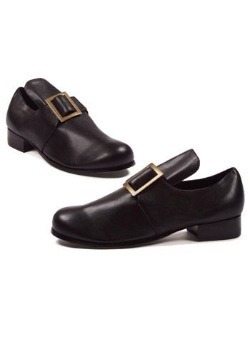 We added our buckles for the shoes, but other than that, all you need is your own stein! Some of us just want to dress up and go out and have fun and not worry about what we're wearing too much. 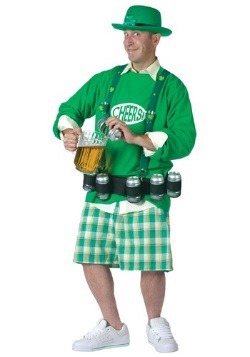 If a wild Irish pub crawl is your main goal this St. Patrick's Day, this might be the costume you want to wear. Spill nacho cheese on it? Get the pants muddy? Who cares! 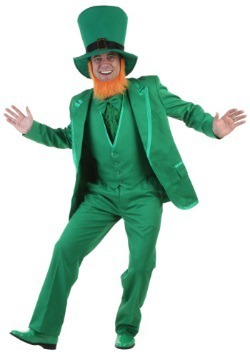 Go have fun, ya wacky Leprechaun. 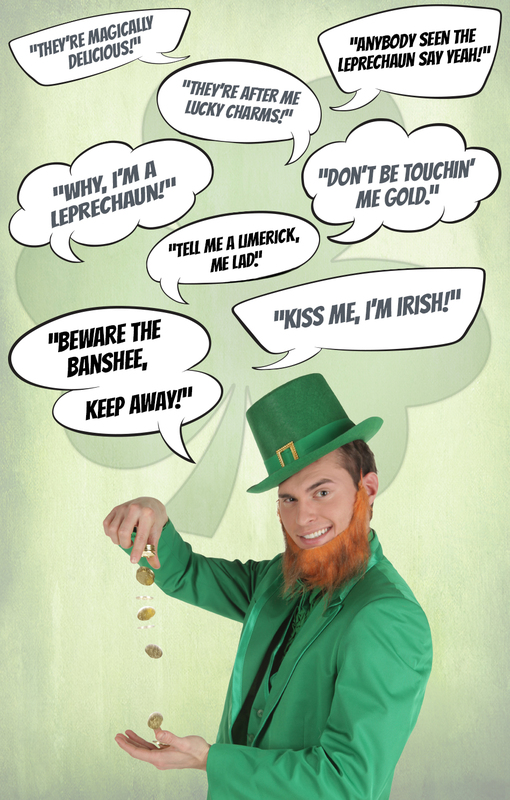 Just like the lads, we thought the lasses should have a handy guide to our St. Patrick's Day costumes! We have options from lovely dresses to an affordable yet spiffy t-shirt. And, of course, they're all green. We're sure you'll find something that brings out your inner Irish. We can't really promise it, but we wouldn't doubt if someone jumps up in a spontaneous session of karaoke to sing you a proper Irish ballad once they see you walk in to the pub. 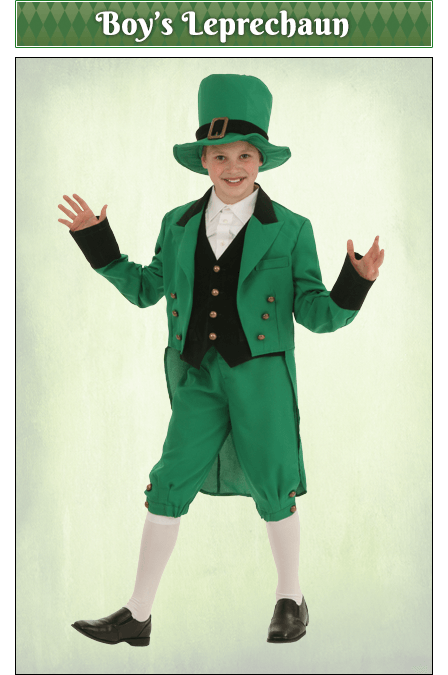 This is one of our loveliest costumes, and features a gold vest with little shamrock buttons. Add our tights and shoe buckles to complete the look. You really only need one thing when you're out on the town for St. Paddy's Day. Something green, a shamrock, and a big mug of green brew. Wait, that's three things! You need three things, then. 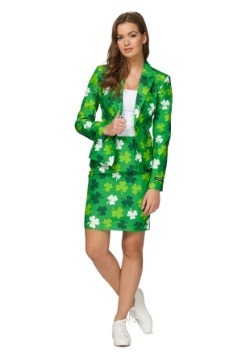 Our affordable Leprechaun dress is a great way to be green, and it even has shamrocks on it already. 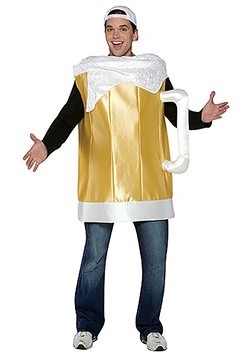 Now all you need is some dyed brew! What, a flapper on St. Patrick's Day? Why not! 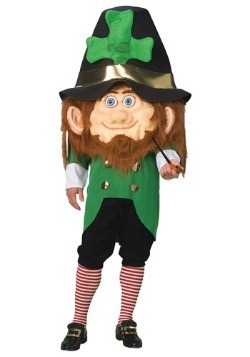 It's really just a big party anyway, and you're guaranteed to see another Leprechaun out there on your pub crawl. 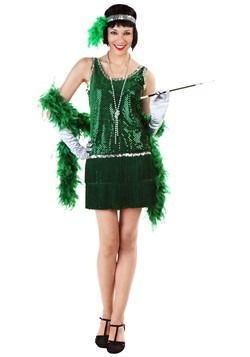 So, if you plan on doing some dancing come March seventeenth, there's no better choice than our shiny green flapper here. 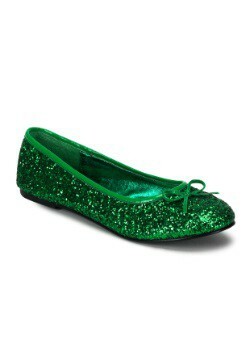 Add our glitter green shoes, because you can never have too much green on St. Paddy's. If you want to dress up but you don't want the kind of commitment that a costume requires, one of our t-shirts is the way to go. 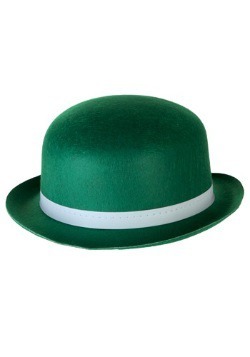 This one here is bright green and will make you look just like a dressed up, dapper 'lil Leprechaun, printed shamrock and all! 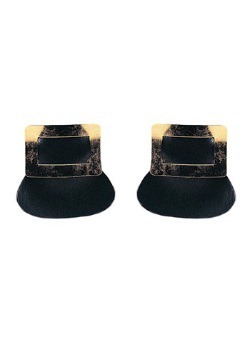 We added one of our bowler hats, and liked the result. 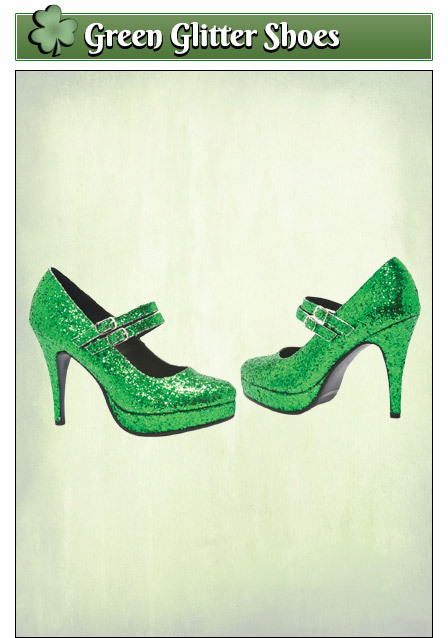 We think you will too when you go out in this emerald ensemble. 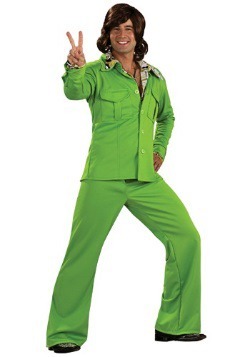 When you want to celebrate St. Patrick's Day, the first thing you've got to do is dress in something green, lest ye be pinched mercilessly. 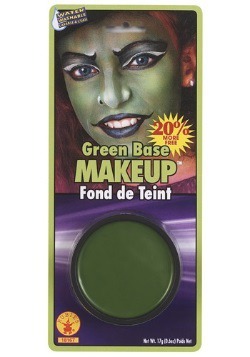 The shade of green should be as close to a shamrock as possible. If you have the means to station yourself beneath a natural gleaming rainbow, that's all the better. Got a pot of gold? You'll need that too. But you're not done yet! 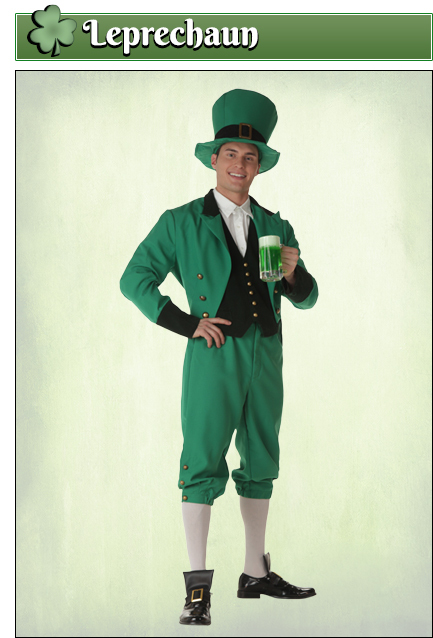 No Leprechaun should face the day alone, so you need a date for the pub crawl, or the limerick contest, or the annual pouring of emerald green dye into the river. 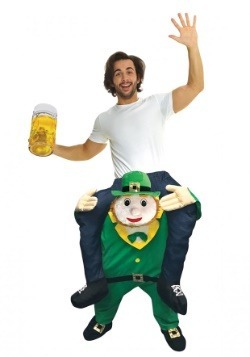 We put our Leprechaun caps on and came up with these gorgeous couples costume ideas for St. Patrick's Day. 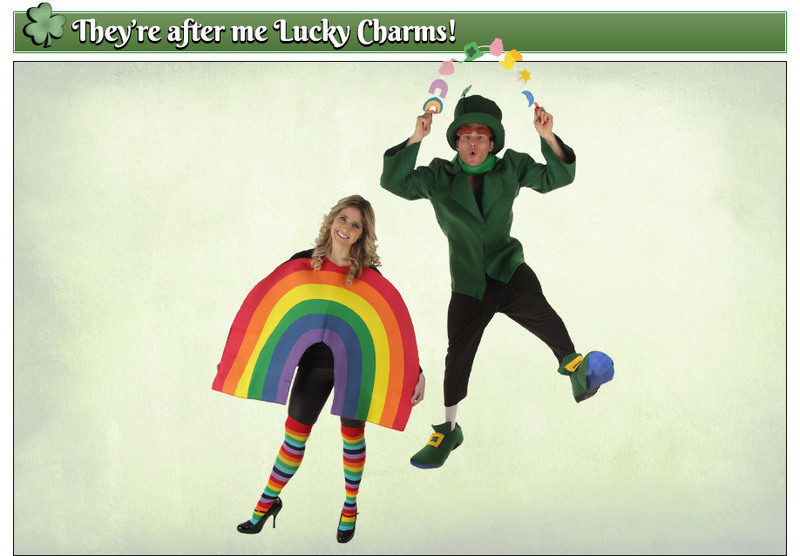 We hope they help you have a shamrockin' good time, and get you enormously lucky! 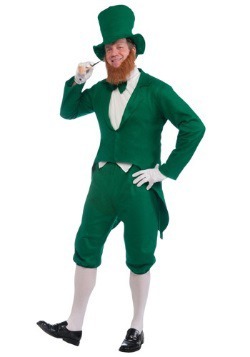 Leprechauns are quite dapper, despite their typical illustration of being crazy, maniacal, and a red-haired menace. 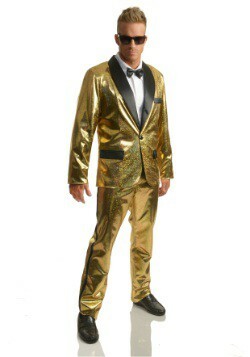 These two costumes are labeled the Lucky Lass and the Lucky Lad, and they look quite sophisticated, yet ready to party. 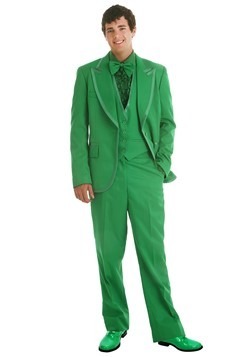 There's nothing wrong with being classy on St. Patrick's Day. 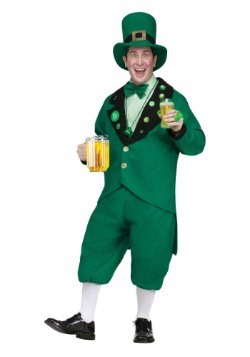 Sip that green beer, good sir! When someone comments on the shine radiating from your boot buckles reply in your best Irish accent, "Slainte!" Leprechauns only come out around St. Patrick's Day, right? No, that's just not true! 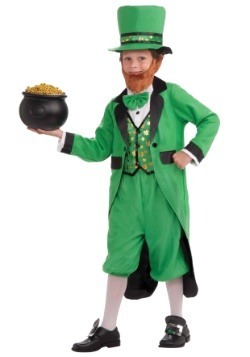 You can enjoy a Leprechaun's treasures all year round when you pour yourself a big bowl of Lucky Charms cereal! Stars, moons, balloons, horseshoes, rainbows, hearts, pots of gold... they're all here. Lucky here seems overjoyed that he was paired up with a lovely rainbow, and together, they're magically delicious, just like the cereal. 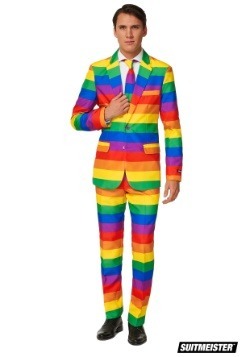 The only problem with wearing this ensemble is that you'll have people coming up to you constantly pretending that they're after your 'lucky charms.' We recommend you make little baggies of marshmallow bits to hand out, just so they'll leave you alone. On the plus side, you'll probably make their St. Patrick's Day that much more special. 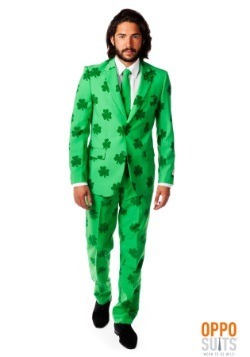 If there's a day for feeling lucky it's probably St. Patrick's Day. 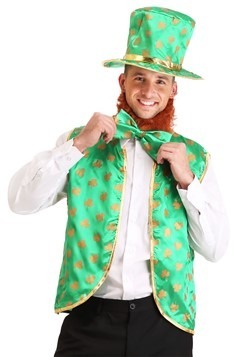 That doesn't mean you shouldn't try and max out your luck potential with as many green hats, glasses, and shamrock laden paraphernalia that you can fit on your person! This guide should help you find our most lucky products. You won't find anything better out there, unless you somehow come across a green rabbit's foot stolen from a Leprechaun sleeping beneath a double rainbow. If that hasn't happened to you, then you've come to the right place! 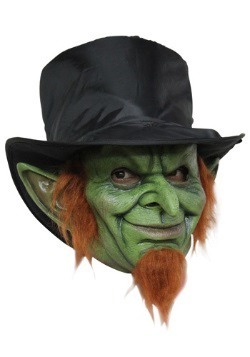 Any self-respecting Leprechaun wouldn't be caught (for those magical rainbow powers of gold-conjuration) but they especially wouldn't be caught without their top hat! 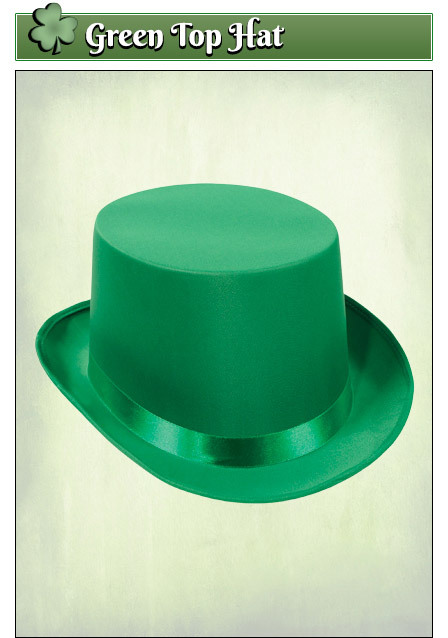 Tell everyone the epic story of the time you took the hat from the King of the Leprechauns! Taking part in an Irish jig or two? 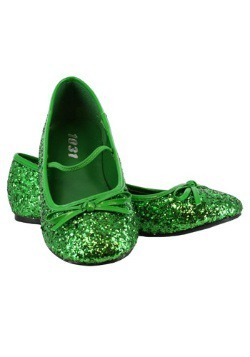 These glitter green shoes are a MUST. 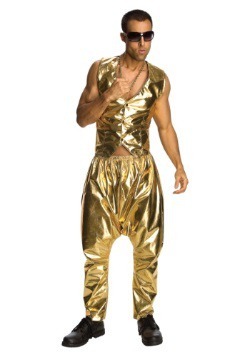 They go with our flapper, or our Leprechaun costumes for women. 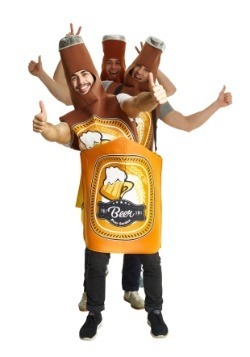 The only problem is that they're SO eye-catching, you'll be telling the lads, "Hey, my face is up here!" 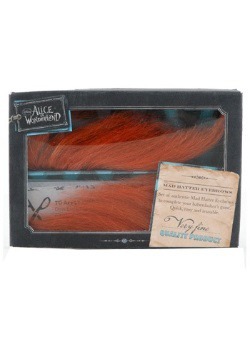 Not a natural redhead, or can't grow a respectable mustache? No problem! We got these McLucky Shades for folks like you. 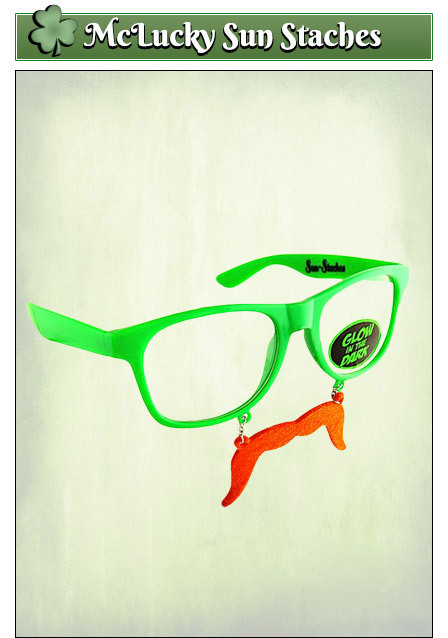 The frame are bright green (and even glow in the dark!) and give you a hilarious, yet classy mustache. Okay, yes, you got us. 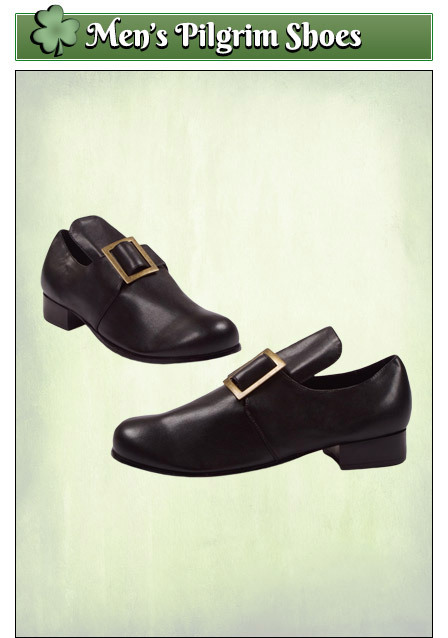 It's true that these shoes were made for pilgrim costumes, but they have that great buckle on the front that's perfect for a Leprechaun. Perfect for March, but hang onto them to use again in November! Ever heard that old adage about seeing the world through rose-colored glasses? 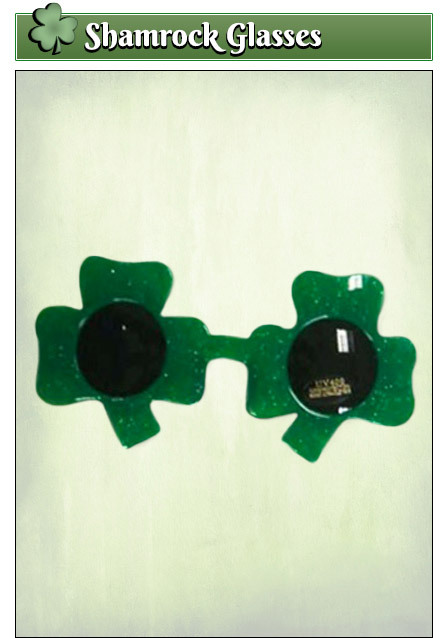 When it's St. Patrick's Day, it is more than appropriate to see the world through a couple of shamrocks! Too bad they don't work as gold detection goggles, but they do have UV protection. This hat looks suspiciously like the one the Pope wears. 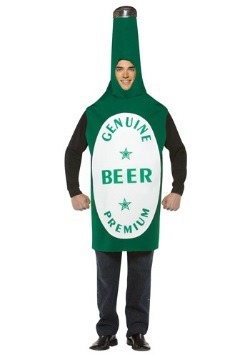 It also comes with a long green beard, which, the last time we checked, is not what the Pope wears. 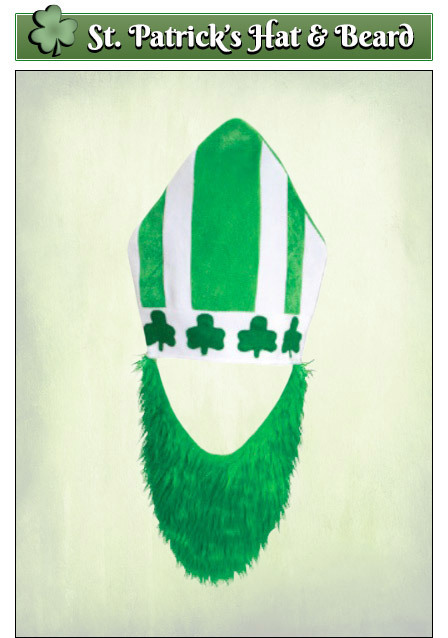 Either way, we're pretty sure that your St. Patrick's Day will be quite blessed when you wear this fun accessory. 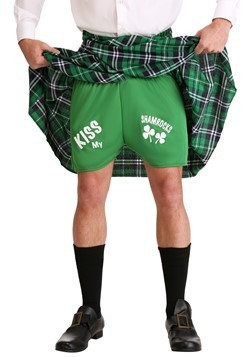 If you aren’t into traditional St. Patrick’s Day costumes, that’s okay! We’ve still got you covered. To avoid the dreaded St. Patty’s Day pinch, you will need something green to wear before you head out to celebrate the luck of the Irish. 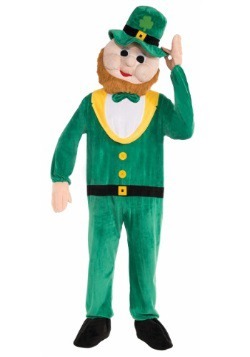 Not down for wearing a leprechaun costume like everyone else? 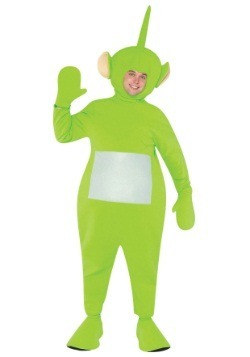 Consider a different approach this year with famous green characters, even if they’re probably not Irish. 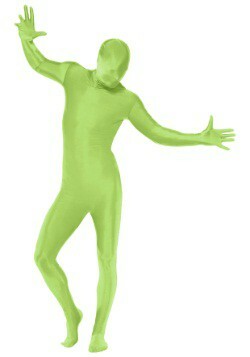 According to Kermit the Frog, it’s not easy being green, but we tend to disagree. 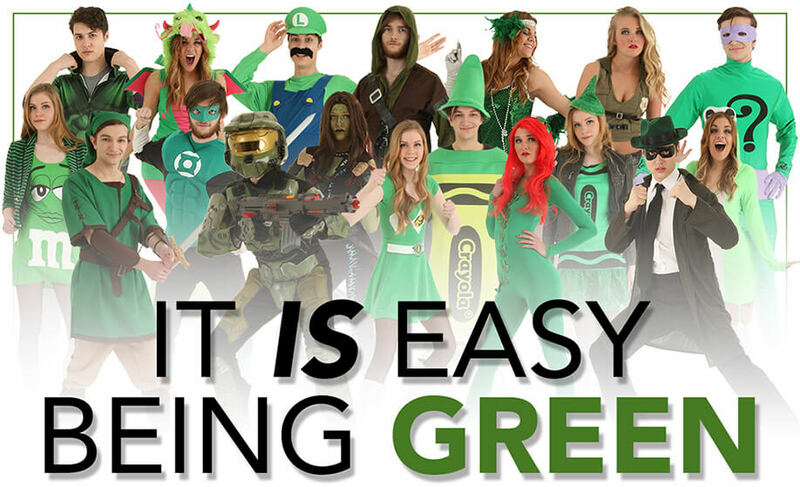 Contrary to Kermit’s belief, there are plenty of green characters out there who do stand out in a crowd. 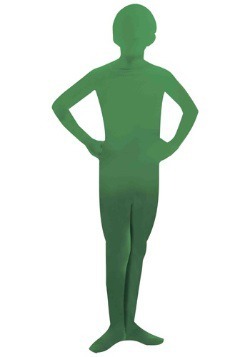 Take the Hulk for example – does he blend in anywhere? Whether you want to go all out and be covered in green from head to toe or you are looking to be a bit more subtle with your ensemble, we have even more green items that are sure to make it easy being green this St. Patrick’s Day!